Big on land huge on views an opportunity you can't refuse. This iconic 70's design offers 3 generous bedrooms, a modern bathroom with separate toilet and spacious semi open plan living, all cleverly positioned on the 1st floor to take full advantage of the stunning views while flooding the home with natural light. 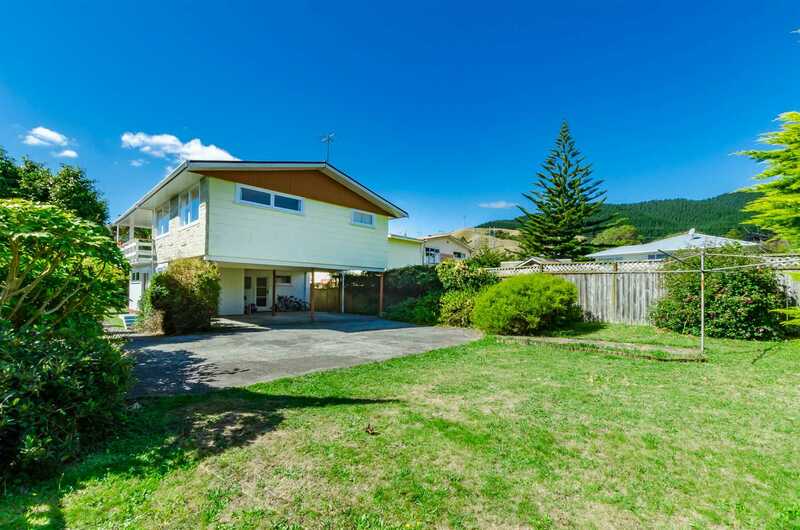 The ground floor has a large rumpus room, ideal for a home office, gym or kids play room, second toilet and a laundry that opens to the double carport and rear garden. The gently sloping, fully fenced 823 square metre section provides space and security with room to grow. Just picture yourself on your balcony with a glass of your favourite tipple watching the sunset over Kapiti island "what a way to relax". This home will be gone in a flash. Don't delay call me Today.